A longtime friend and I were visiting during a play-date last week. Somewhere between our daughters tickling each other’s bellies, “sharing” toys, and eating each other’s food, she grabbed her cell phone and showed me a picture of her latest craft project….LOVE Scrabble tiles. I loved them, told her I was going to copy her, and promptly went home and made some for myself! 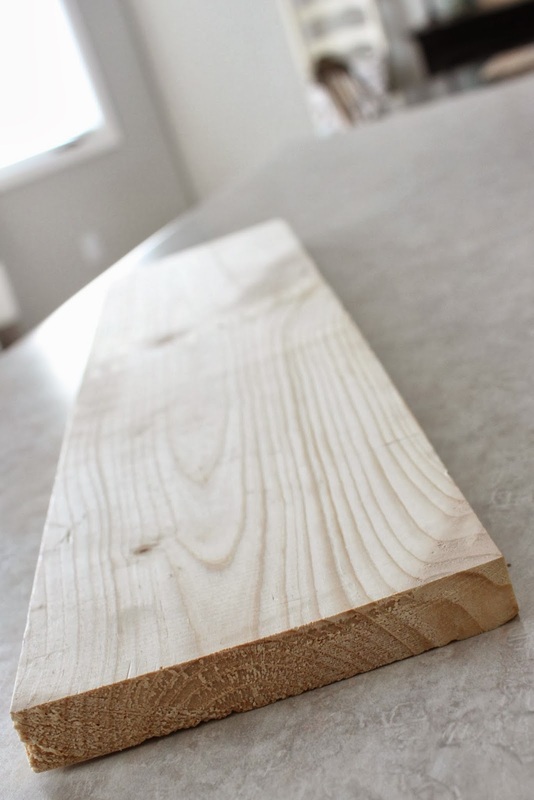 I found this 6″ x 24″ board at Menards (for like .50 cents), and had Mr. Hoff make 3 cuts. The result was 4 6″ x 6″ squares…how about those math skills? 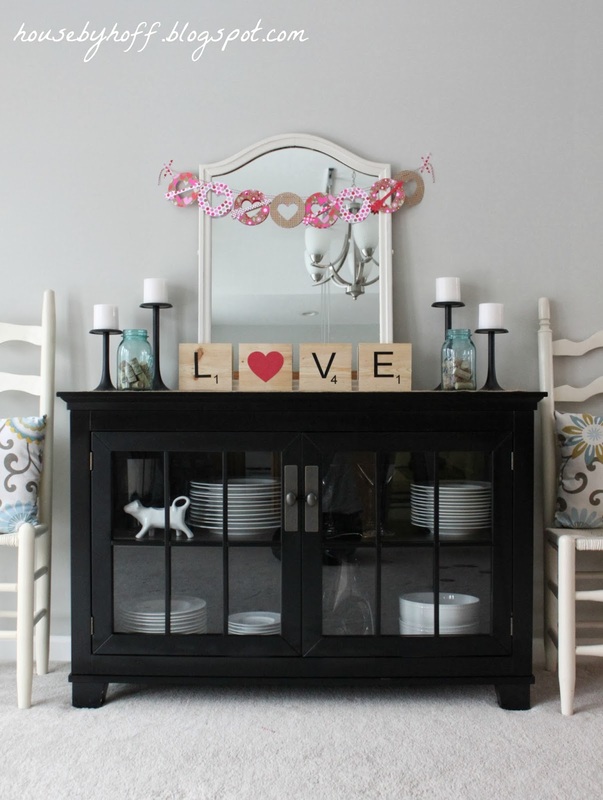 I used my Silhouette Cameo to make some vinyl letters and a heart. Easy!!! I must have Miss L. completely trained. This is her, “I’m precious, yet serious” face. 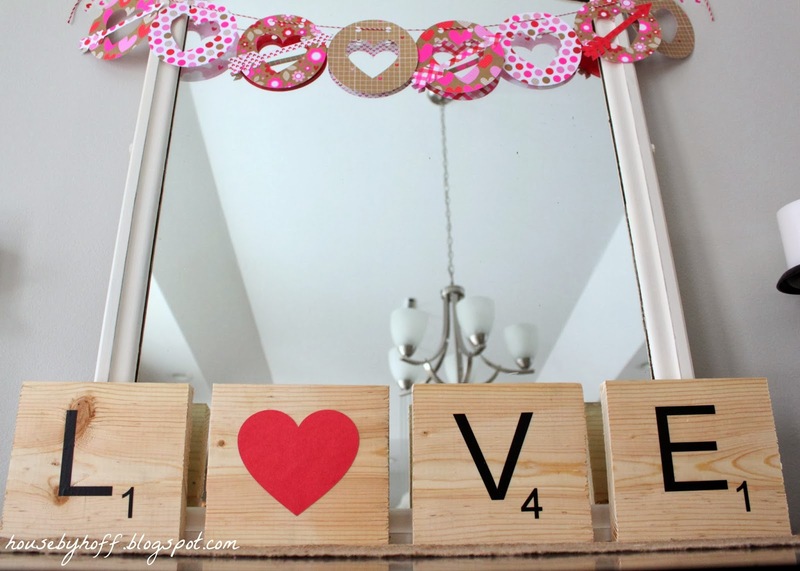 Let’s see what my “Get Your DIY On” cohosts came up with for our “Simple DIY Projects We Love” challenge! 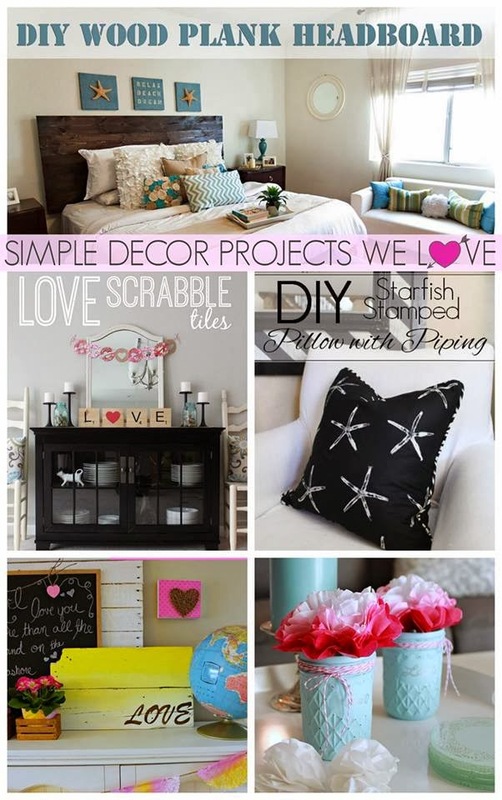 Don’t forget to link up your “Simple Decor Projects You Love” this Sunday at 7 PM EST! They can, but don’t have to be Valentine-related! Can’t wait to see what you bring!!! April these are so cute! I have a H scrabble tile in the home and it’s one of my favorite pieces- love them!! Did you use anything to stain them? Thanks in advance! So cute! Your scrabble tiles are amazing too 🙂 Pinning of course. Happy weekend! What a great idea! I am pinning this and going to make some myself. Thanks for sharing. 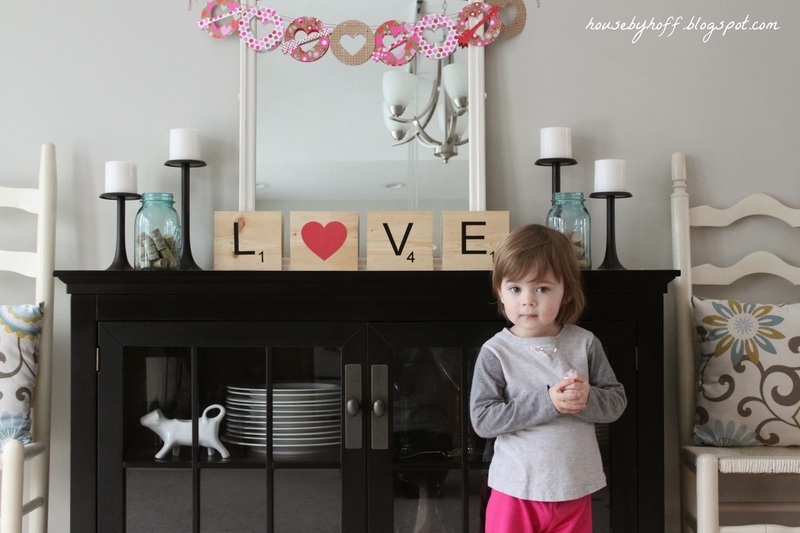 OMG – I’m soooo doing this for my mantel! Pinning!!! Thanks, Chelsea…she’s is definitely not my little baby anymore! Love, love, LOVE these! Such a great simple project! And Miss L is getting so big! What a beautiful girl! Thanks so much for sharing, friend! Hope you’re having a wonderful weekend!